If you can’t read that, it says: “i am extremely terrified of chinese people“. If you don’t think this is real and that I photoshopped it, then try it out yourself. Go to google.com and type in “i am extremely” and see what pops up. 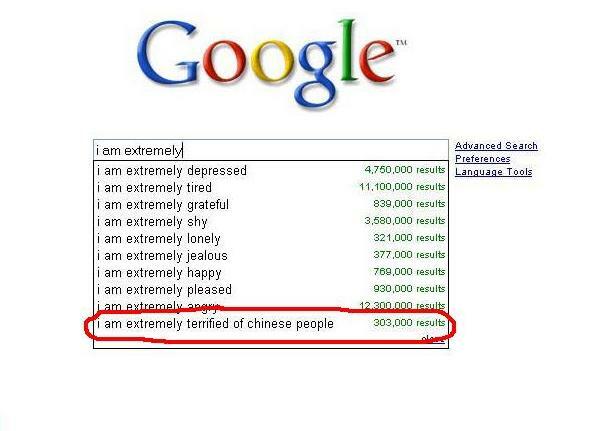 Who knew a search engine could have such ethnically-charged fears? You are currently browsing the archives for the Chinese people category.